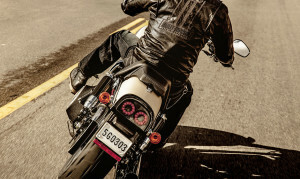 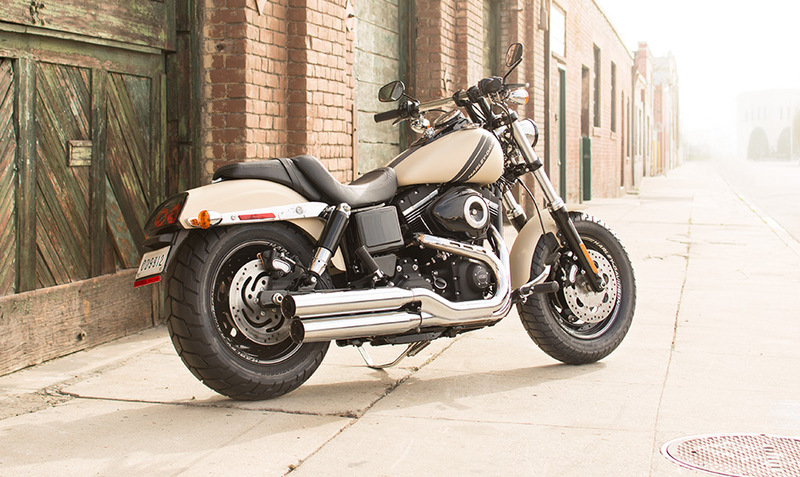 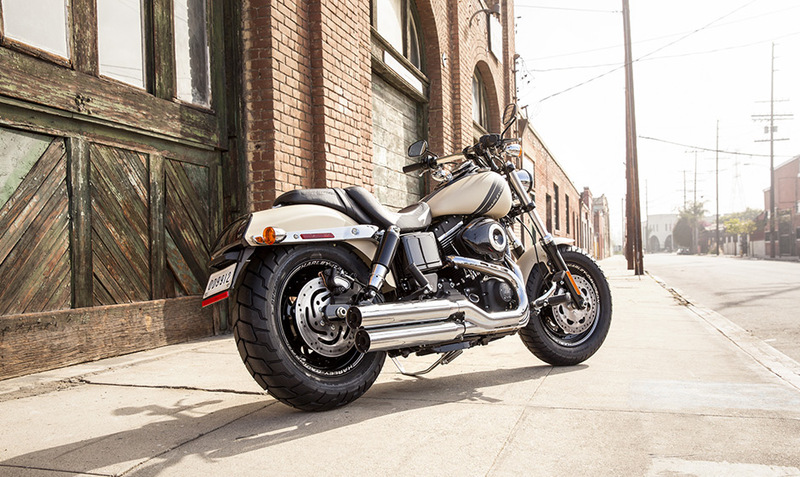 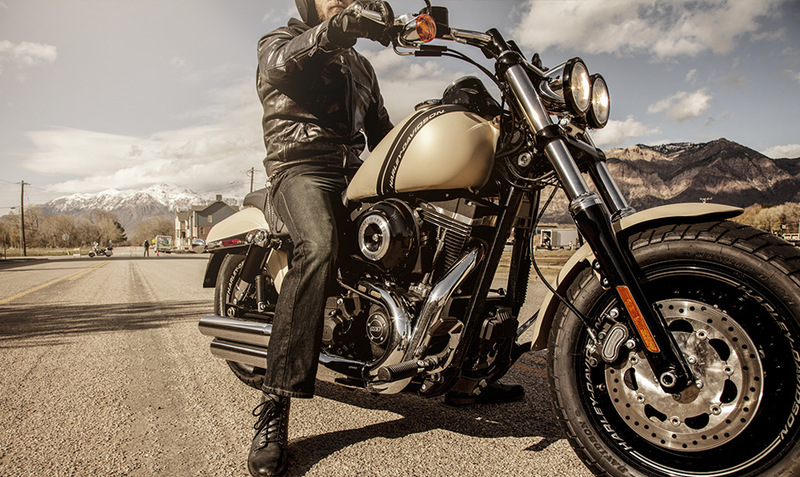 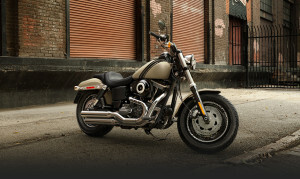 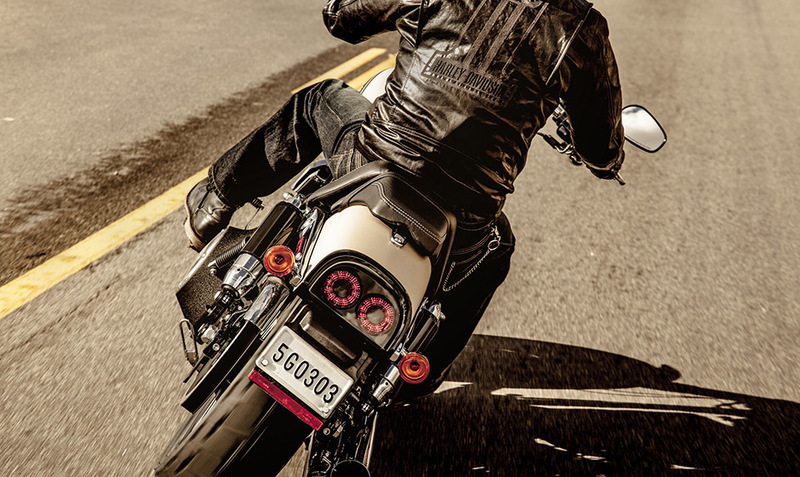 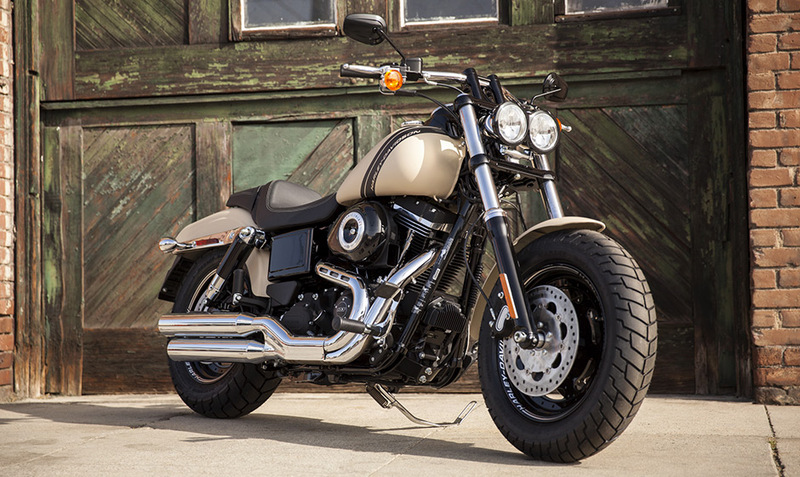 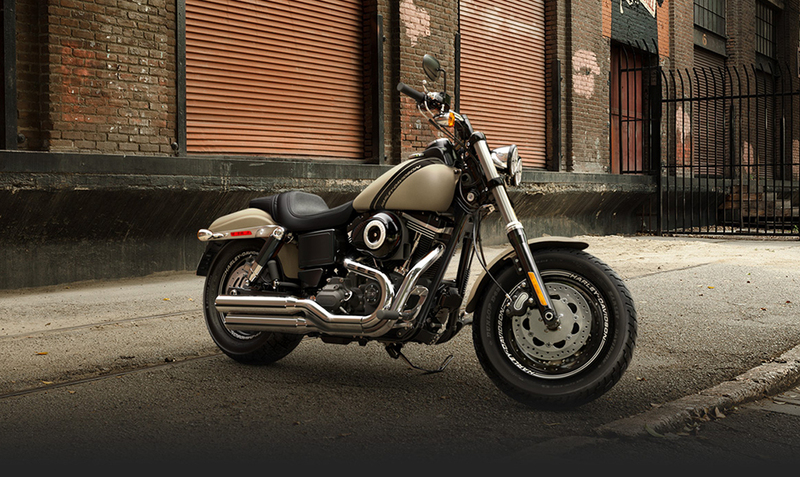 The Fat Bob® boasts authentic, custom, dragster style from front to back. 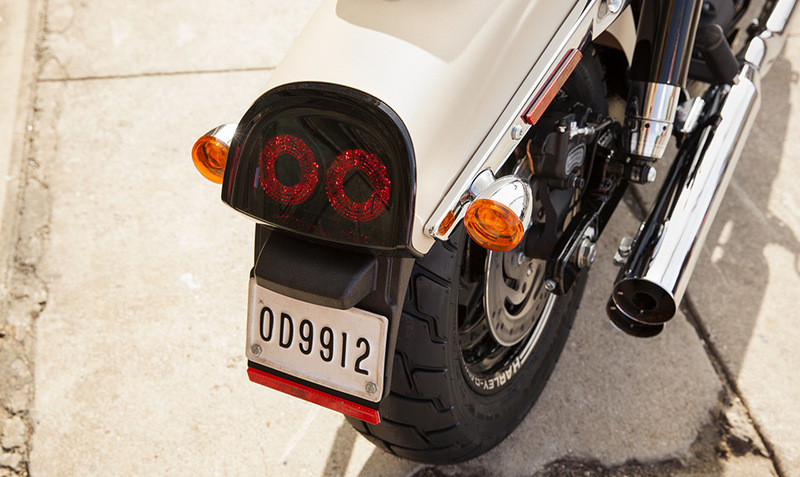 The bike’s unique 16-inch front wheel wrapped in a 130mm tire provides an especially unique fat profile. 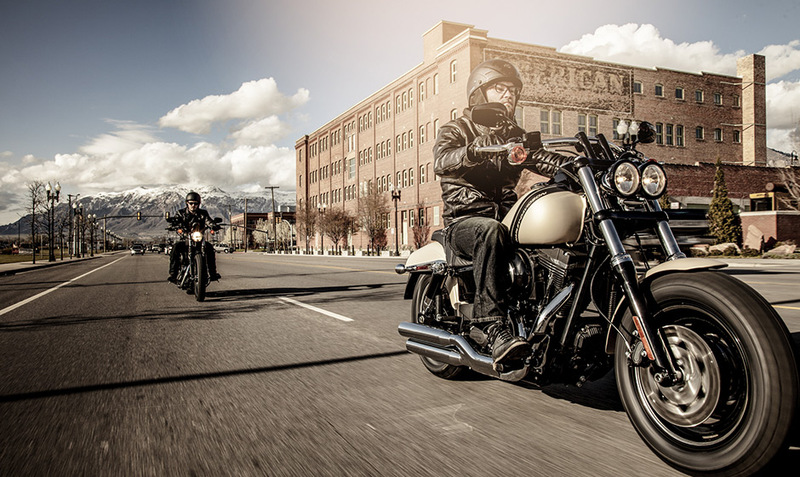 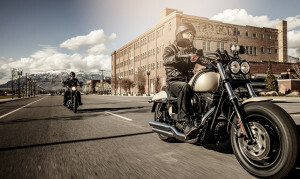 The beefed up forks don’t just look great – they offer superior handling confidence. 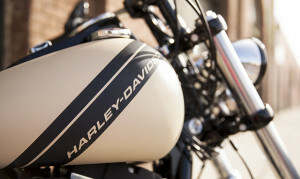 The drag-inspired handlebar with internally routed wires is practically ready to hit the strip. 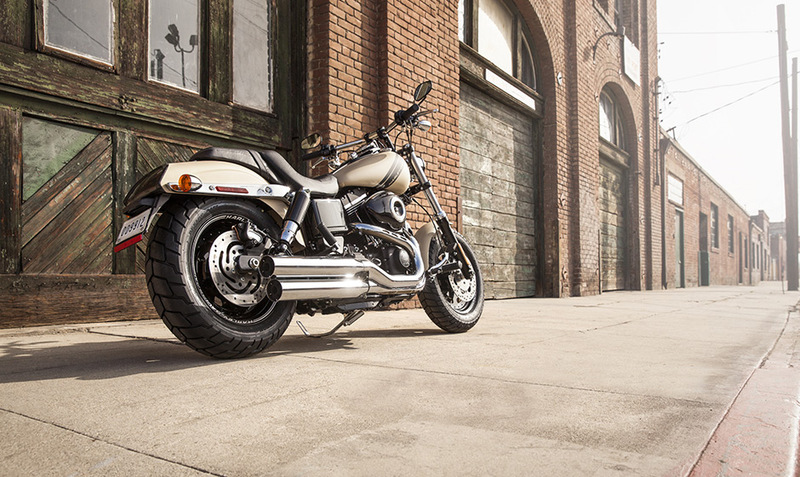 Blunt cut mufflers and a super short rear fender add to the minimal, rough and ready aesthetic. The minimal, distinctive diagonal fuel tank graphics are classy, rather than over the top. 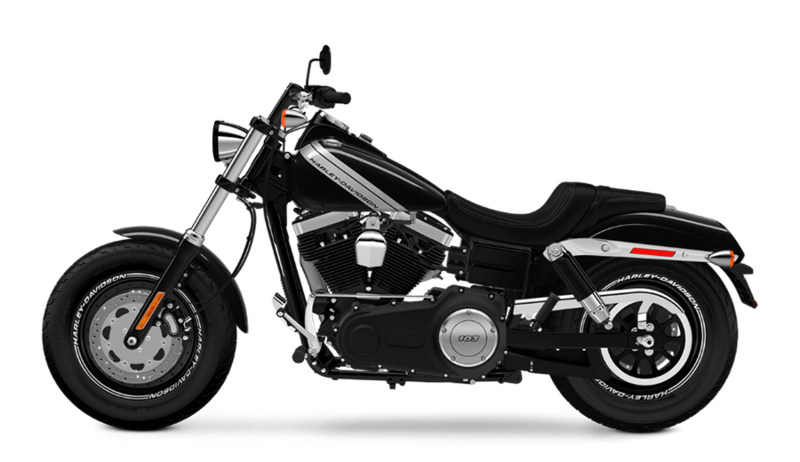 Just about everything is blacked out, from the engine, to the rear shocks. 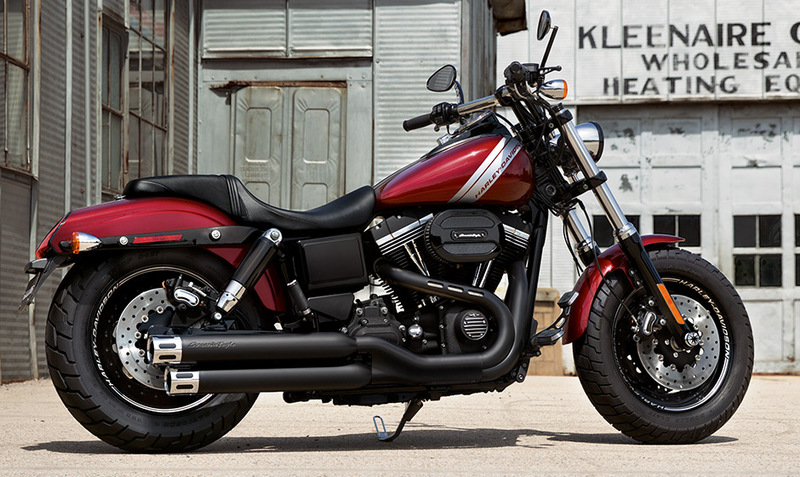 It’s a big, bold, head turning bike.